Amazon has reportedly leaked details about the second generation Kindle Paperwhite, which is apparently set to ship at the end of this month, on September 30th. 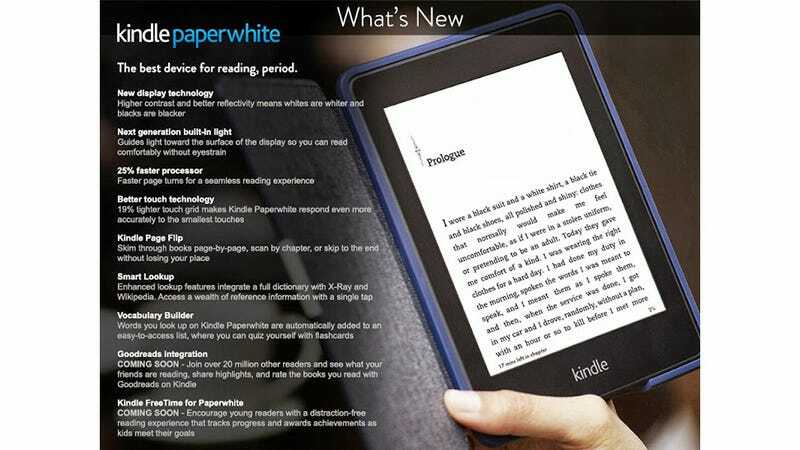 According a post on Forum.HR, Amazon posted a landing page (since taken down) of the new Kindle Paperwhite. Oopsies.